The internet has given working mothers the opportunity to run a business out their home office. The challenge is not letting home life interrupt. Finding ways to effectively separate work-mode and family-mode is vital to being successful at both. According to Parents Magazine, this technique can work especially well if you set aside a special activity or toy for your kids only during work hours. By giving them something to look forward to in exchange for giving you work time, you can enjoy hours of unfettered productivity. This could be a playdate, a video game, or even just permission to watch tv. Other parents use some variation of the “boredom bowl”, or a list of activities your children can pick from if they can’t find anything to do. If you aren’t the only parent in the house, you don’t have to be the only one parenting. This is especially true in a household where your work requires you to travel more than your partner. Learning to give your spouse more child-rearing responsibility can be good for your marriage, and good for your sanity. 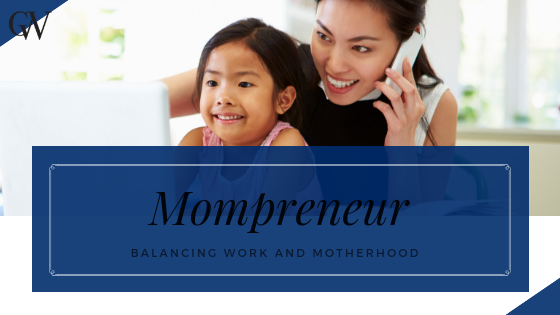 That said, there are also a lot of Mompreneurs who work from home but are still just too busy for the ideal work-life balance. In these cases, it can often be a good idea to hire a babysitter to take the pressure off. A good, affordable solution to this is to hire a responsible teenager to look after your kids while you do work. Whether through a friend or a website, you’ll pay far less that for an adult caretaker, and should an emergency occur they can still come to you. Just be sure if you do this to set clear boundaries for both the kids and the sitter. Balancing a family life with work is a lot of pressure. To keep your sanity, you need to trust in your ability to do both and know when to take a break. Just remember that the only way you’ll be able to take care of your work and your kids is if you watch out for your own health first. Stress is an inevitable part of navigating the best path through work as well as through motherhood. Learning techniques to center yourself and remain positive are necessary. An easy habit to add to your daily routine is mindfulness. Like meditation, mindfulness clears your mind and gives you perspective, but it can also be done while performing any activity. Practicing being present and aware while doing ordinary tasks around the house can be the little push you need to make it through a tough day. 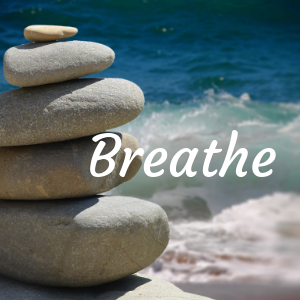 Deep breathes and small breaks are also great stress relievers. If you feel overwhelmed, back up and take a break. Pushing yourself too hard isn’t good for anybody. Accepting that you are not a machine, and letting yourself fumble or feel tired is not a failure. Taking a few minutes away from your work and a couple of slow, deep breathes will clear your head and make you more productive. When it comes to dealing with the stress of a full schedule, defending yourself against social isolation is a must. It’s tempting to divide all your time evenly between your family and your work, but if you’re a work-from-home Mompreneur, this could quickly result in you becoming a hermit. Schedule in time where you can unwind and do things for yourself. Everyone tells you how hard it is to push out a baby. And how hard it is to deal with the sleep deprivation for months afterwards. But no one really tells you what it’s like to juggle a sometimes screaming mini-dependent and your way to keep them in formula, toys and diapers: your job. As a freelance copywriter, I am lucky in that at least I can juggle work around my kids, and my top five tips for doing that are simple. One: you have to get organised, and become good at planning not only your life, but your little one’s life at day care/babysitting, other kids and their activities, and sometimes even your partner’s time (whoever it is still working the full time job) in order that he/she can help you. Two: Coffee is your new best friend. You may have heard all the hype that coffee is bad, especially when you’re expecting, but believe me when you’re back at work, and falling asleep at your desk come 3pm with a deadline to make, you’ll need the shot to keep you going ‘til after the little one’s bedtime. Three: you still need to network. This one is so hard as usually I’d much rather sit on the sofa than go and meet strangers after a hard day that started at 6am trying to feed breakfast to a toddler yelling ‘TV!’. But meeting people is still the best way to get job offers as a freelancer or otherwise, so I find you just have to get out there occasionally and invest in some good eye make-up to hide the dark eye bags. Four: commiserate about how hard it all is and make sure you keep up with your working-mom friends. They understand and are your support system. They can also take your kid at short notice sometimes so you don’t have to drag them to that important last-minute work meeting while bribing them with iPad time and junk food. Five: join a gym, or an outdoor workout schedule, preferably somewhere that has a crèche or where your kids can join in too. Whenever you can squeeze it in, a workout works wonders for the energy levels (and means you can cut down on aforementioned bad caffeine). Maintaining both a personal and a professional support system outside the house is highly beneficial for both you and your family. You stay happier, healthier, you find more business opportunities. Being out of the house can also be a boon for your parenting. Even if you aren’t directly looking after your children, the mom radar never completely goes away. Giving yourself space to be genuinely separate from your children allows you to refresh by enjoying your own space, thinking about your own needs, and communicating with people your own age. Having your kids see you being social and having your own life also gives them a positive role model as they start to build their own identity. Of course, this isn’t all it takes to be a Mompreneur. Everyone has their own challenges they need to overcome for their specific circumstances. Situations also change as children grow up, and the techniques that once worked to balance your life and theirs might no longer be effective. But no matter what, by following these tips you can make the work-life balance easier. Work hard, believe in your abilities, and keep your family and friend support systems strong, and you’ll be well on the path to success. If you love this content, sign up for our newsletter! You will receive quality articles directly to your inbox. Discover valuable techniques, follow current trends, and learn how to thrive in the digital marketplace.